This means your interest rate is fixed for the entire tenure of your home loan. For instance, if you are taking it for 20 years; then for 20 years your interest rate will stay the same and so will your emi. Here the interest rate is fixed for the first few years and then it is calculated as a floating interest rate till the end of the tenure. Here the interest rate is subject to variation depending on the market scenario, and can vary at least twice a year and can be changed by the bank without notification. Let us take a look at how these interest rates will be calculated for a particular loan amount, interest rate and tenure. * – means the interest rate will be 10.15% for the first 2 or 3 years and then it will be switched to a floating rate, which is quite unpredictable by us. **- Although the total tenure is 20 years, the said interest rate will be applicable only for the first 2 or 3 years. The interest payable for the semi fixed interest rate is calculated with 10.15% as the interest rate throughout the year, so understand that 66,99,770 lakhs is probably the minimum amount of interest payable. And is subject to increase without further notice. Even in the case of floating interest rate, the same uncertainty prevails. - Keep your long term goal in mind and decide what kind of loan would suit you best. For instance, consider the number of years you have left till you retire, preferably you might want to finish off your loan well in advance of your retirement. - Also, consider other major expenses such as your child’s education before going ahead with such a big decision. 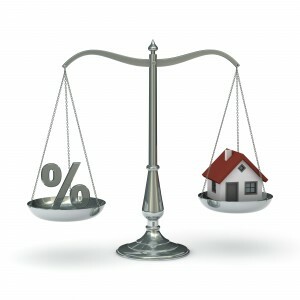 - Know the actual difference between fixed and floating interest rates and see in which case you will end up saving more. - The most concerning thing with a semi-fixed or floating interest rate scheme is that the emi will vary without advance notice. This is probably the one big disadvantage with this scheme, whereas with a fixed rate, you can ensure that your emi will not vary irrespective of market conditions. - Incase, you think you will require assistance with the whole process feel free to choose a trusted consultant to help you choose and make the right decision.